Silkwood’s Middle School students created workshops focused on engaging with native habitats at our school, with particular reference to integrating indigenous knowledge. We ran these workshops with younger class groups within the school and hosted a KTK Week Event onsite for visiting schools – 120 external school students participated. The event was a lot of fun and it was extremely rewarding to see so many students actively engaged in meaningful learning using outdoor ‘learnscapes’. A group of 8 children travelled to Melbourne to participate in the 2012 Melbourne Water KTK Conference in October. 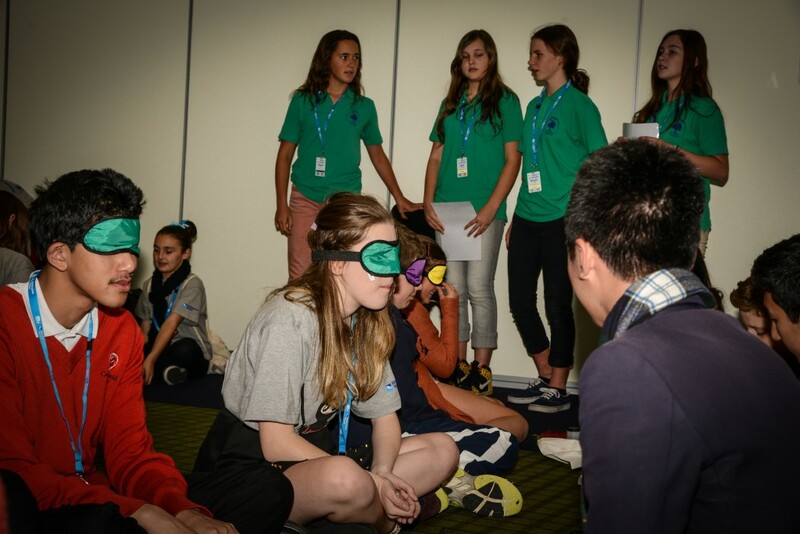 They ran their ‘Gwongubunga – Little River’ workshops with students from all over Australia; integrating a short film, sensory stories, art and craft activities, reflective visualisation experiences and bush tucker tastings. It was a real thrill for the student leaders to see the fruits of their labour enjoyed and experienced by other keen young environmentalists in a hands-on workshop context. The level of support and encouragement provided by the KTK team during the development and implementation phases was extraordinary and helped us to achieve maximum student engagement and successful outcomes throughout the learning journey. 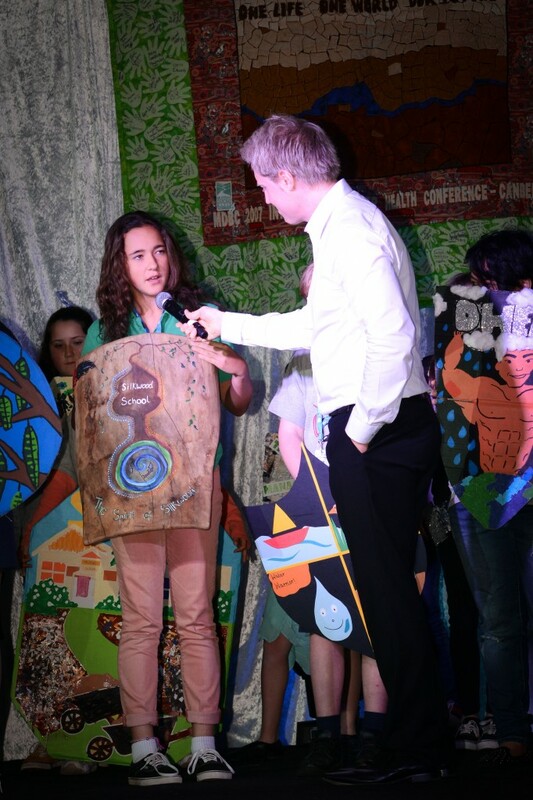 To create and publicise student-created workshops to educate students in SE Queensland about issues and features of riparian corridors and natural environments of Silkwood School and the local area. To integrate innovative pedagogy and methods of learning as outlined in the KTK program to increase student engagement in and ownership of environmental education initiatives. To access indigenous knowledge and include traditional owners from the local community as mentors and educators in the learning process. To utilise outdoor ‘learnscapes’ and interpretive bush trails, so that education about, for and in the environment can be facilitated in biodiverse, native surrounds. To form community and environmental partnerships to ensure best practice education and sustainability initiatives are being integrated in learning programs. In the initial phase, the teachers involved accessed all of the support material provided in physical form and via the website. The book ‘Inspiring the Next Environmental Leader’ by Arron and Richard Wood is a must-read as it explains how to integrate the KTK framework and pedagogy with anecdotes, reflections, theory and practical strategies. As part of our weekly timetabling, we have Sustainable Environmental Education (SEED) lessons built in for every grade level, enabling 1 – 1 ½ hour sessions to be facilitated per week. So weekly sessions were embedded into our learning program. In the lead-up to the KTK Week event, we facilitated an additional 2 workshop preparation days to enable practice runs with younger classes. All work for the KTK Week event was undertaken in Term 3. Students involved in the 2012 Melbourne Water KTK Conference worked together during 1 lunch break a week in the term leading up to the conference. In terms of student ownership of learning, the umbrella topic was Silkwood’s native habitats and environments and students could choose a focus area to work on. They worked in small groups of 4-5, with groups allocated by teacher to include a mix of strengths, interests and abilities. Students used higher order thinking strategies to engage in learning about their topics and mentors visited onsite to provide them with information and expert knowledge. Students created workshop plans using the KTK resources and templates provided. We also created workshop kits for each workshop, filled with student created resources that can be used again and again – both as training tools for other teachers/students wanting to get involved in the KTK program and for ongoing workshop opportunities within the school and for visiting students and educators. This has proven to be a great way to build environmental learning tools at our school. The greatest outcome was students feeling empowered, challenged and successful as result of their engagement and commitment to participating in the KTK program. They had the opportunity to trial ideas, modify, run, review and improve their workshops – this was a very satisfying process and enabled significant growth and confidence in their ability to educate others and to be taken seriously. The students were surprised and very pleased with the positive reception they received from students and teachers alike during the workshops and in the reflections/reviews undertaken after the presentations. The assessment and reflection tools provided by KTK are excellent and we found them applicable and useful for gathering information about the success of workshop implementation. The extended reach of the KTK experience led to winning some major environmental awards in Queensland and environmental education accreditation. We are very thankful for the contribution of the KTK programs in these successes. 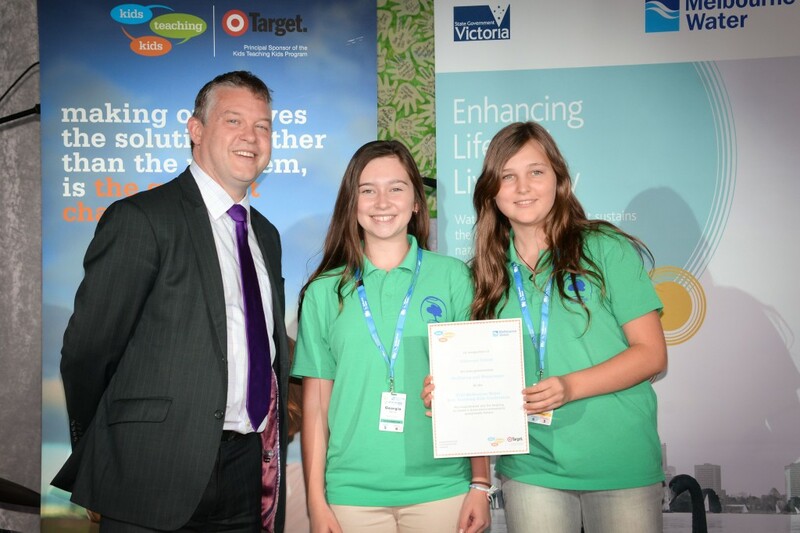 Healthy Waterways Awards Winners for: ‘Gwongubunga – Little River’ – Inspiring Young People to Build Connections to Local Waterways through Indigenous Knowledge. – Sustainable Education Award – for promoting environmental awareness and establishing green practices – $1000 prize. – Minister’s Grand Prize Award – presented by the State Minister for Environment and Heritage Protection, for innovation across all categories – $10,000 prize. Accredited Cleaner Greener School. Silkwood School has successfully gone through a formal accreditation process to become a Cleaner, Greener School as part of the Keep Queensland Beautiful organisation. We received the highest rating of 5 stars and are the first school on the Gold Coast to be 5-star accredited. The mentorship model is a real highlight of the KTK program and it is the hook that connects students to real-life learning. All groups connected with their mentors and gained a lot from their interactions and knowledge building opportunities. The pedagogy is effective and quite simply, it works. Students engage with the framework, take ownership of learning and treat it is a serious learning opportunity, with great fulfillment in the outcomes and partnerships created. Have a good look at what you have to work with. Find what’s unique, special and important to your school and/or local community & focus on that first. Meaningful, authentic, purposeful engagement with environmental leadership vs. tokenistic, occasional consideration. Work critically and creatively. What are explicit / implicit learning opportunities? Work with principles of mentorship, partnerships and collaboration – start local, network, create and share – school community and beyond. Most importantly, connect children to nature. If they connect & learn through direct experience, they will develop a greater sense of care & stewardship for sustainable futures. Empower children as leaders & teachers!